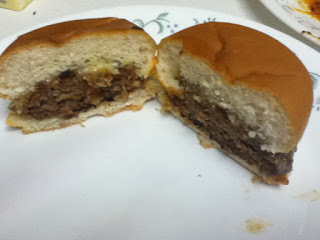 Here is a family favorite, we always look forward to David's hamburgers. Combine all ingredients, form into patties and grill (or fry up in pan). I am your newest GFC follower from the hop. I would love for you to come visit my blog and follow back. I have great giveaways going on all the time. That is my kind of burger. Looks delicious. Come over and visit us today. We have a great grilled squash recipe. Thanks so much for sharing with Creative Bloggers' Party and Hop, I am co-hosting this week and I am so happy I found you there! I am now following, I hope you can stop by and visit soon! Btw, I'm hopping by from The Wednesday Window and hope you'll join my Summer Blog Hop, too.